Courier Features - Caroline Lindsay story - Simon Howie and haggis - Dunning. THIS PICTURE IS FOR CAROLINE LINDSAY MEET YOUR MAKER. Picture shows; Simon Howie, butcher, at his company's headquarters in Dunning today. Monday 9th January 2017. 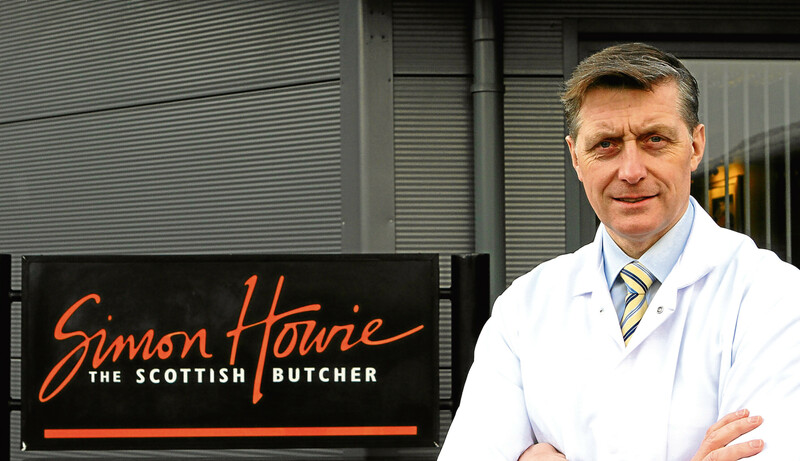 Perthshire-based butcher Simon Howie has invested £2.5 million into its factory in Perthshire this year as it faces an increase in raw material costs. It is hoped that the large investment will increase efficiency at the Dunning factory. Last year the firm saw its turnover increase from £14.7m to £15.4m and pre-tax profits rise by 6% to £2.7m. Company founder Simon Howie said there was a fall in raw material costs last year which allowed the firm to pass on significant price reductions, but the company was now faced with “challenging” cost rises. He said: “Raw materials are definitely on the increase. While that’s challenging, it’s good to see the farmers getting a little bit more for their product. “We’ve had a few years where the prices have been quite kind to us so we have to accept that it’s our turn for prices that are a bit higher. The company, which supplies all the top supermarkets, has looked to reduce its internal costs by putting 165kW of solar panels on its factory roof, increasing automation within the factory and putting a cold storage facility on site rather than using a third party. The company has also invested on a packaging hall, a dedicated room for black pudding and haggis and an engineer’s workshop. “There are a number of initiatives that are allowing us to produce more goods on a less per kilo overhead,” Mr Howie added. “Even though raw material costs are going up these other initiatives can mitigate that. “Ideally we’d like to think that we are as efficient or more than some of our competitors. He said another focus for the company was increasing the number of stores the company supplies in England. At present the company sells 70% of its products in Scotland and 30% to the rest of the UK. “Ideally, we’d like to reverse that ratio while still growing in Scotland,” he said. The company, which employed 117 at the end of last year, is expecting to add more staff by the end of the year.